October 28	- no comments. July 30	- no comments. October 1	- no comments. Enjoy THE NORTH POLE Trailer — and World Premiere! September 2	- no comments. The North Pole is Coming Soon. Help Make It Happen! February 5	- no comments. I went to synagogue last night. And then woke up this morning to the news of the mass shooting in Pittsburgh. 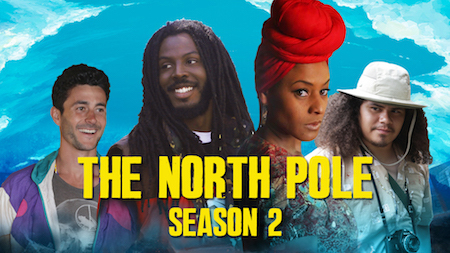 After months of anticipation, rumors, and (we imagine) celebrity gossip, we have some great news to announce: The North Pole: Season 2 is coming soon! And we need your help to make it happen. ‘The North Pole’ is streaming now! Watch, enjoy, talk trash in the comments…and read the story behind the story. 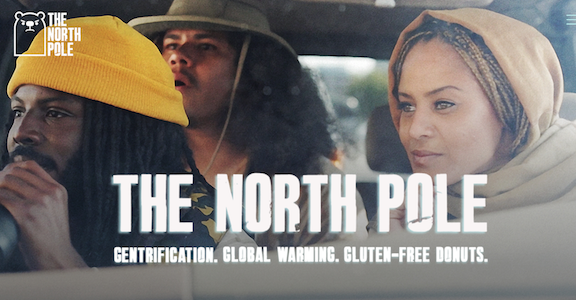 For the last year, I’ve been explaining what our upcoming web series The North Pole is about with one line: “Well, it’s a political comedy about the biggest social issues of our time: Gentrification. Global warming. And gluten-free donuts.” But the truth is, seeing is believing. So this is your official invitation: come see for yourself. So yeah. I wrote a web series. It’s called The North Pole. Based here in Oakland, it’s a political comedy that hits on all the big issues and is coming out later this year. But we need YOUR HELP to make it happen!